I read an interesting article in a recent issue of ‘Time’ magazine. It was entitled ‘How Syria and Libya got to be Turkey’s Headaches’. 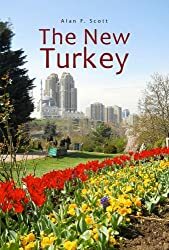 It interested me on two counts – first, because it seemed to contradict my own feelings about how events in the Arab world would affect Turkey; and second, because it was written by a Turk who seemed to be portraying her country in an unnecessarily pessimistic light in an international news magazine. The writer, Pelin Turgut, began by announcing that, with the current crisis in Syria, the ‘Arab Spring [had] arrived on Turkey’s doorstep.’ What do you take from that? It seemed to me an unfortunate statement, pandering, as it does, to misinformed Western stereotypes of Turkey. Turks are not Arabs. Unlike the Arab nations experiencing popular unrest, Turkey has a democratically elected parliament and government. Further, there has been no sign of the kind of grass roots protests that have racked neighbouring states. Ms Turgut knows these things, yet she seemed to be implying something different. In her article, Ms Turgut seems to have compiled a litany of innuendo aimed at discrediting the Turkish Government, with little solid foundation. She calls the government of Prime Minister Recep Tayyip Erdoğan ‘Islamic-rooted’. What does that mean? Turkey’s population is overwhelmingly Muslim, and any government that does not at least pay lip service to that fact has no chance of success at the polls. For nine years I have heard ‘secular’ Turks claim that Mr Erdoğan’s party has a secret agenda to dismantle the secular state and introduce shariah law. If that is the case, they are showing remarkable stealth and patience. Ms Turgut goes on to suggest, with weasel words, that the Turkish government has forsaken attempts to join the European Union, and instead, moved closer to Islamic Arab states. She highlights Mr Erdoğan’s criticism of Israel, and seems to imply that his government’s bridge-building with Syria and Libya were in some way, a bad thing. In fact, as I read it, world opinion has been shifting against Israel’s intransigence in the West Bank. It is Israel who is defying the United Nations, not the Turkish government. Similarly, it is the European Union that, rightly or wrongly, has been rejecting Turkey’s attempts to gain membership for fifty years – not the other way around. It is hard to imagine that anyone in the USA or Europe would have been happy to see Turkey and Syria go to war – yet Pelin Turgut seems to be implying some kind of hypocrisy in Turkey’s peaceful overtures under Mr Erdoğan’s leadership. Similarly, she criticizes what she seems to see as inconsistency in Turkey’s attitude to neighbours experiencing the ‘Arab Spring.’ She notes that the Turkish PM ‘denounced’ Mubarak’s regime in Egypt, while remaining silent on Libya and Syria – ignoring the fact that the Turkish PM got it right with Egypt, and the jury is still out on Libya. Turks have to live in this part of the world. They don’t have the luxury of 2000 km of Europe and 5000 km of Atlantic Ocean buffering them against the realities of the Middle East, so it’s hardly surprising that they are less than enthusiastic about charging into neigbouring nations with guns blazing. Ms Turgut enlists the support of a couple of ‘Turkey experts’, Soli Ozel, ‘international relations professor at Bilgi University and a political columnist’, and Henri Barkey who apparently wrote ‘an article for the Carnegie Endowment for Peace’. With all due respect to these gentlemen, despite Turkey’s increasing interest in playing a peace-keeping and mediating role in the Middle East, it has no power to, and probably no desire to coerce neighbours to follow its wishes. The ‘neo-Ottoman’ label may have a catchy ring to Turkey’s detractors, but on examination, it is a largely meaningless tag. The Ottomans were a religion-centred, autocratic, monarchic empire. The modern Turkish republic is none of these things. However, should a lack of power to enforce its wishes prevent Turkey from attempting a moderating role in the region? Surely no one with a genuine interest in world peace would argue so. As an example of failed policies, Pelin Turgut cites the presence of Turkish construction companies and workers in Libya. 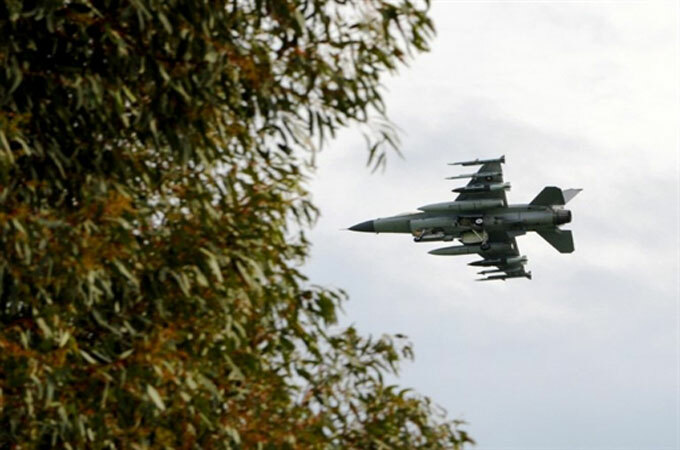 Admittedly, the Turkish government has had to evacuate large numbers of its citizens from that troubled nation – but one could argue that sending builders to construct projects is preferable to sending bombers and cruise missiles to destroy them. How many soldiers does the US have in Iraq and Afghanistan? And has their presence there been more successful than the Turkish presence in Libya? Henri Barkey is quoted as criticizing Turkey for having become ‘a status quo power’ in the region. That may be a little unfair, given Erdoğan’s reprimands of Israel and Egypt’s Mubarak, and the United States’s record arms sale to Saudi Arabia and its major financial contributions to Mubarak’s military machine. In the end, a nation’s foreign policy is its own affair – and who is to say that Turkey’s foreign policy is any more self-serving than that of the United States or France? Soli Özel, the international relations expert from Bilgi University asserts, almost gleefully, that “Turkey now finds itself very alone on the world stage.” It may be so, but who is to blame? Turkey will never be truly accepted by the Arab Islamic countries, because Turks are not Arabs, and they espouse secular democratic ideals. By its very existence, Turkey is a threat to its autocratic Arab neighbours. On the other hand, it will (most likely) never be fully accepted as one of the Western democracies because it is a Muslim country. Being alone on the world stage is nothing new for Turks. Nevertheless, United Sates foreign policy-makers at least, recognize Turkey’s value as a key player on the spot in the volatile but vital Middle East. And Turks themselves, in my opinion, should recognize their need to work together in their isolation. This entry was posted in Arab Spring, European Union, Middle East, Recep Tayyip Erdoğan, USA. Bookmark the permalink. ← Islamic Dominoes in the Arab Spring – Will Turkey be next?